Home » » Two Suspected IPOB Members Arrested For Alleged Murder Of Four Hausas In Asaba. Two Suspected IPOB Members Arrested For Alleged Murder Of Four Hausas In Asaba. Two suspected members of the Indigenious People of Biafra (IPOB) have been arrested by the Delta State Police Command in connection to the murder of four Hausas. It identified the two suspects as Abraham Ndudi 24 years from Kwale in Delta and Okereke Ifeanyi 21 years old from Ogbaru, Anambra State. It will be recalled that Friday, September 15, three armed men in black outfits, suspected to be IPOB members fired indiscriminately into Abraka market, Asaba, predominantly inhabited by non-indigenes of the state and in the process killed four persons, while injuring many. A signed press statement by Police image maker, DSP Andrew Aniamaka, on Saturday, said the police were on the trail of a third suspect simply known as “Last Burial”. Aniamaka said the suspects were arrested from their hiding place in the rafters of a major hotel in Abraka. The statement named those killed as Usman Abdullahi ‘m’, aged 45yrs, Ali Sidi ‘m’, aged 70yrs, Ibrahim Zubairu’m’ aged 30yrs and Hauwa (surname unknown), aged 22yrs. 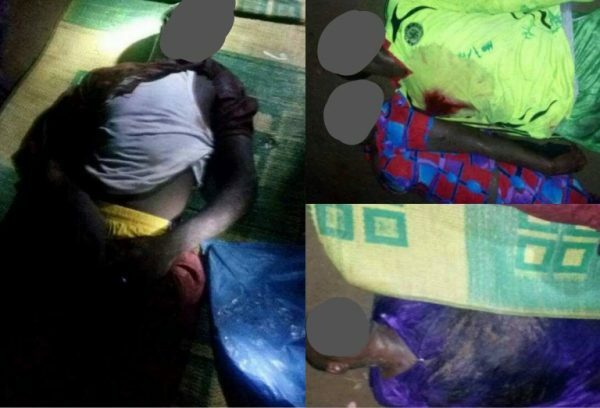 It said five injured victims are currently recuperating at the Federal Medical Centre, Asaba The statement urged the public not “to panic or even contemplate any reprisal action as the law will surely take its course’.